The Allegheny Ukulele Soirée is Pennsylvania's longest running Ukulele festival, located in central Pennsylvania in the foothills of the Alleghenies. Dedicated to sharing the ukulele with both the local and ukulele communities, the Soirée blends practical workshops with cultural exploration. Each year we bring top talent from the Ukulele World to our festival, right here in Altoona, PA. We pride ourselves on providing an intense and immersive experience to all of our festival attendees. The Soirée began in 2014 as a promotional event for the Allegheny Ukulele Kollective, the local ukulele club. It featured about 5 workshops led by an assortment of club members and lasted about 6 hours. In that first year, we had approximately 100 attendees. As we continued to expand our offerings and our attendee pool, we relocated from the Penn State Altoona Campus (2014, 2015) to the Laurel Lodge, a beautiful venue just outside of Altoona. We hosted the Soirée at the Lodge for 3 beautiful springs, before finally outgrowing the space for good in 2018. In our final year at the Lodge, we had over 160 people in attendance including attendees, vendors, instructors, and guest artists. As we enter our 6th year, we continue to look toward the future by moving the festival into a new venue, the Altoona Grand Hotel! We will be well situated for the foreseeable future with plenty of space to grow! We especially look forward to being able to promote the festival to the local community more readily, as at our previous venue we couldn't allow for walk-ins. 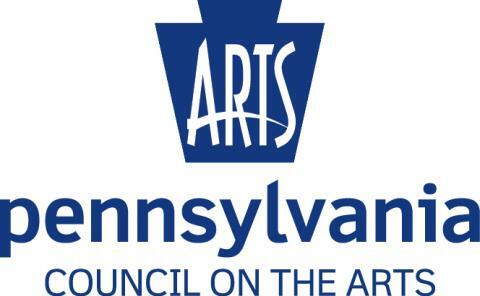 The Allegheny Ukulele Kollective receives state arts funding support through a grant from the Pennsylvania Council on the Arts, a state agency funded by the Commonwealth of Pennsylvania and the National Endowment for the Arts, a federal agency. Stuckey, Tiffany. “ArtsAltoona Live! - Mike Holzer/Allegheny Ukulele Kollective.” ArtsAltoona LIVE!, ArtsAltoona, 6 Feb. 2018, www.youtube.com/watch?v=X8vsYGnr7tA. D'Ville, Jim. “The 2018 Allegheny Ukulele Soiree.” Ukulele Magazine, Ukulele Magazine, 14 May 2018, www.ukulelemag.com/stories/news/the-2018-allegheny-ukulele-soiree. Deshotel, Abe. “The Allegheny Ukulele Soiree!” Abe Deshotel, UkuleleAbe, 7 June 2018, www.ukuleleabe.com/blog/2018/6/7/the-allegheny-ukulele-soiree. Ames, Charlotte. “Allegheny Ukulele Soiree 2017.” We Are Central PA LIVE!, WTAJ Altoona, 27 Mar. 2017, www.wearecentralpa.com/central-pa-live/allegheny-ukulele-soiree-2017/681406319. Hicks, Cherie. “Ukulele Group Plans Music Festival.” Ukulele Group Plans Music Festival | News, Sports, Jobs - Altoona Mirror, Altoona Mirror, 2 Feb. 2016, www.altoonamirror.com/life/community/2016/02/ ukulele-group-plans-music-festival/.